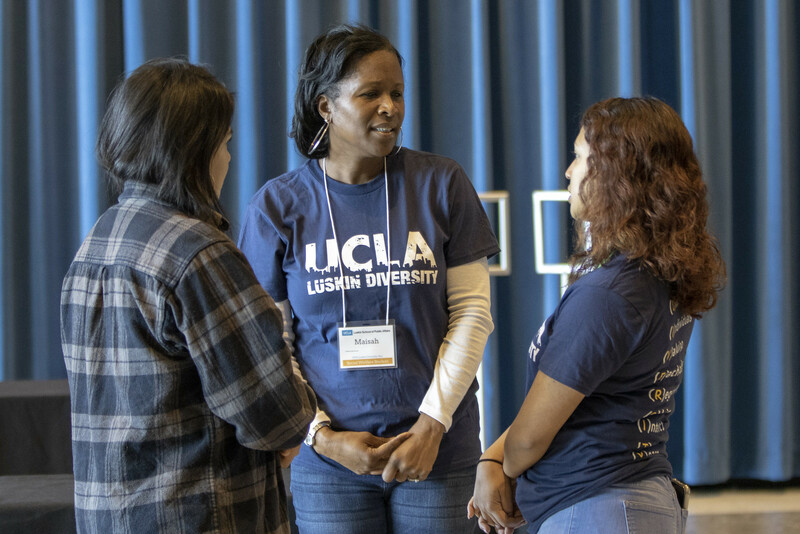 Eliza Franklin-Edmondson came to UCLA Luskin’s annual Diversity Fair to gather information about the School’s programs and priorities. She went home with so much more. 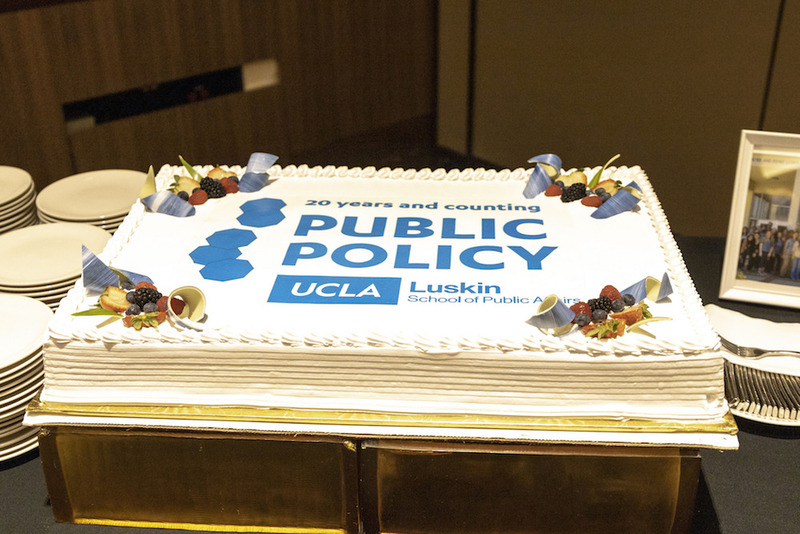 For the third year, Public Policy, Social Welfare and Urban Planning invited prospective graduate students from all backgrounds to hear what sets the UCLA Luskin School of Public Affairs apart: a social justice ethos that is strengthened by a commitment to diversity. Key speakers included the chairs of each department, all of whom are professors in their respective fields. 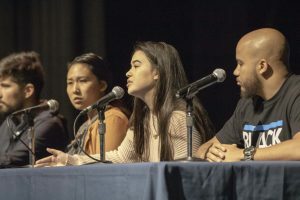 “We are all united at Luskin by wanting to make our society and the world a better place for everyone,” Social Welfare chair Laura Abrams told the audience of about 125 prospective students. The fair’s moderator, second-year planning student Dora Armenta, said she came to UCLA Luskin because it invests in students of color. 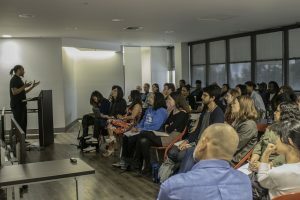 UCLA Luskin Urban Planning is highly ranked and has one of the most diverse student bodies in the nation, chair Vinit Mukhija said. Public Policy students at UCLA Luskin develop deep analytical skills but also step into the real world, chair JR DeShazo said. 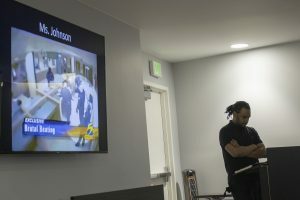 They partner with clients to conduct research projects in fields such as health care, education, criminal justice and transportation, among many others, he said. “In Public Policy, we really focus on understanding the programs and the policies that are supposed to meet the needs and provide the protections and services to our communities,” DeShazo said. 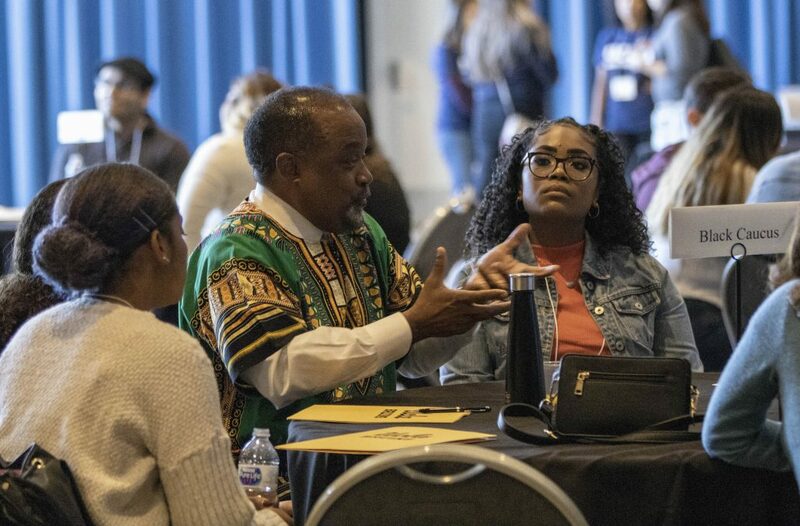 The Dec. 1, 2018, Diversity Fair included financial aid counseling, a workshop for applicants preparing a statement of purpose, and a conversation with alumni who shared why they chose the Luskin School. 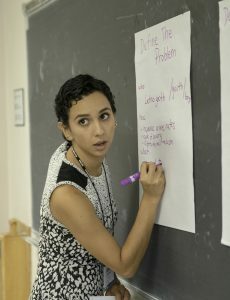 “UCLA felt more like home,” said Sofia Espinoza MPP ’18, in contrast to other schools where “they dressed in suits and tried to schmooze you.” Espinoza said she appreciated the personal attention she received from Policy Professionals for Diversity and Equity (PPDE), which guided her through the application process. 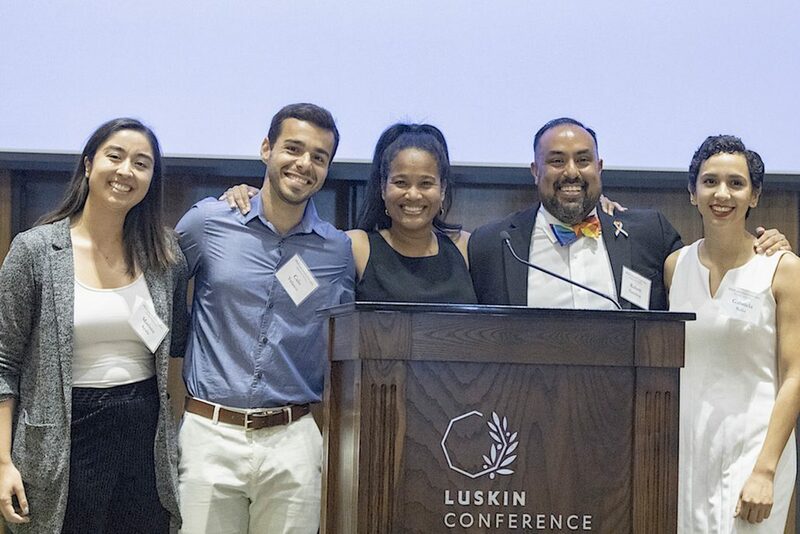 PPDE was a co-sponsor of the fair, along with the Luskin D3 Initiative, Luskin Leadership Development, Social Welfare Diversity Caucus and Planners of Color for Social Equity. The alumni panelists spoke of the skills they developed at UCLA Luskin and offered advice for how to maximize the graduate school experience. At the top of the list: Get off campus and out of the Westside. 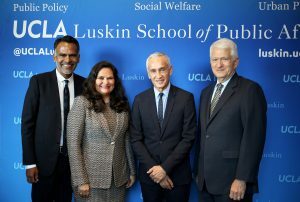 UCLA Luskin offers the best of two worlds, said Hector Palencia MSW ’08, who is a field faculty member in Social Welfare. 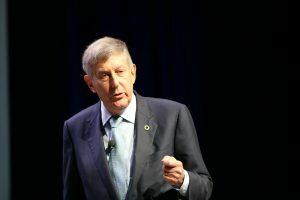 “The university is constantly alive,” a world-class research institution rich with opportunity, he said, but the Luskin School feels like a close-knit family. Isaac Bryan MPP ’18 cautioned the students that their time at the Luskin School would fly by. To fully comprehend the experience of black Americans, start by throwing out conventional maps, tired vocabularies and old ways of thinking. That is the core message of Marcus Anthony Hunter, chair of African American Studies at UCLA and co-author of a new book about the struggle and triumph of black culture over many generations. 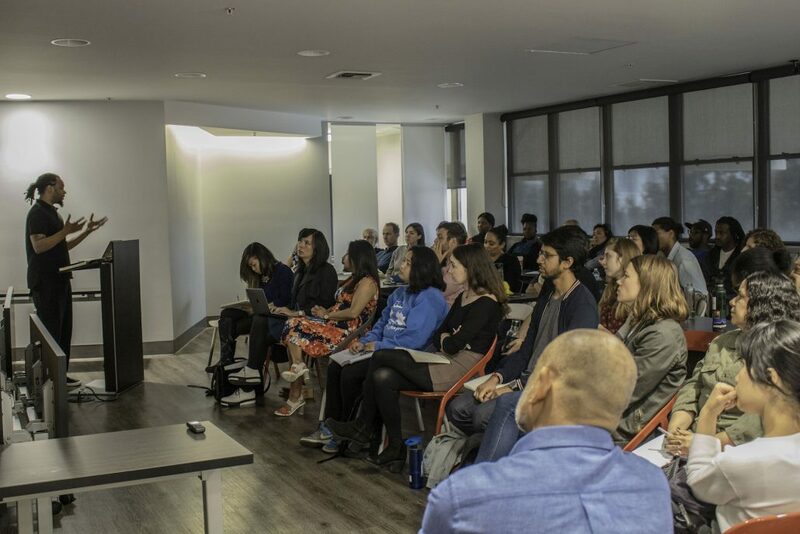 Hunter drew on insights and anecdotes from the book, “Chocolate Cities: The Black Map of American Life,” to engage an audience of more than 50 students, faculty and guests at a Nov. 19, 2018, lecture at the UCLA Luskin School of Public Affairs. 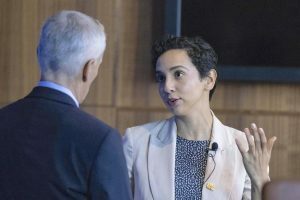 Hunter’s takeaway — to seek out fresh vantage points for a clearer picture of truth — was a fitting launch for the Transdisciplinary Speaker Series at UCLA Luskin. A collaborative effort by Public Policy, Social Welfare and Urban Planning, the new series brings in lecturers from across the spectrum of social sciences to share messages that cross, even erase, disciplinary lines. 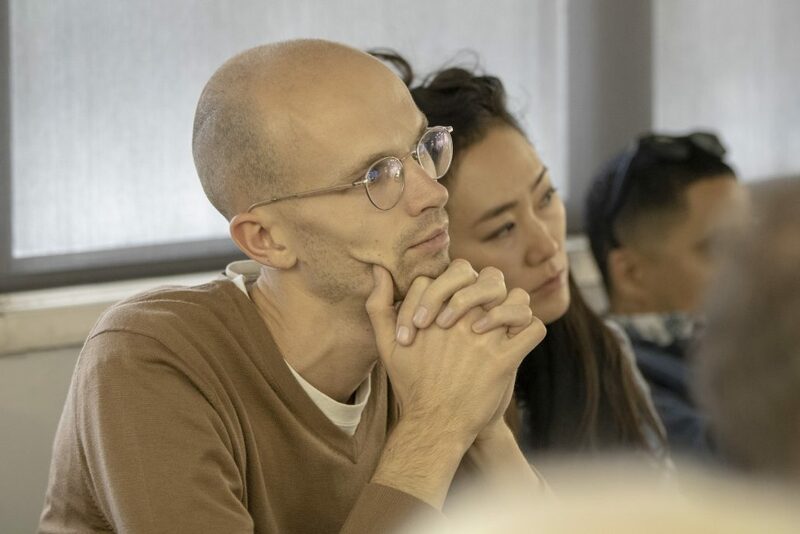 Faculty members including Mark Peterson of Public Policy, Laura Wray-Lake of Social Welfare and Amada Armenta and Kian Goh of Urban Planning worked together to nominate speakers “who perhaps we would not think of in our own fields,” Kaplan said. The series aspires to do more than simply attract people curious about what’s happening outside their own disciplines. It aims to shatter old paradigms, overcome institutional resistance, encourage collaborative work and find solutions to the tough social problems that UCLA Luskin tackles daily, Kaplan said. 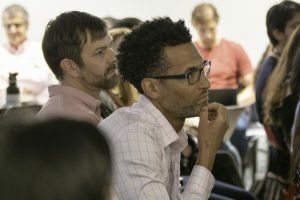 He envisions UCLA Luskin as a laboratory for the transdisciplinary approach, an idea that has been incubating at the School for years. The initiative got new life in spring 2018 when Dean Gary Segura met with Kaplan and endorsed the lecture series and its broader ambitions. 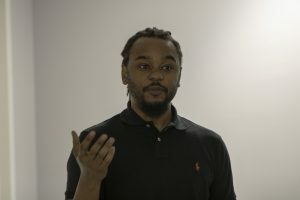 Hunter’s talk showed the potential of the cross-pollination approach, weaving urban geography together with demographic data, oral histories, news archives and a large dose of cultural touchpoints from poetry, fiction, film and music. Parliament Funkadelic’s 1975 “Chocolate City” album inspired Hunter and co-author Zandria F. Robinson to adopt the term as a fitting description of black communities, replacing “slum,” “ghetto,” “Buttermilk Bottom,” “Cabrini Green,” “South Central” — and the stereotypes they invoke. “Wherever two or more black people are gathered, there is a chocolate city,” Hunter told the Transdisciplinary Speaker Series audience. But he stressed that the black experience does not require a physical bond. To underscore his argument that conventional borders are misleading and outmoded, Hunter played audio of Malcolm X’s 1964 address at King Solomon Baptist Church in Detroit. “When we think about the South, we’re talking about surveillance, Jim Crow, racial segregation, residential segregation. We know from the research that these practices exist all across the United States, but we usually attribute bad behavior to the South,” Hunter said. Some of these geographies exist below the surface, as in the case of black transgender women, Hunter argued. He aired video clips of “the two Ms. Johnsons”: Gay rights activist Marsha P. Johnson was killed in suspicious circumstances in New York City in 1992. Duanna Johnson was shot to death on a Memphis street in 2008, months after her videotaped beating by two police officers drew wide condemnation. The killers of these two black transgender women have never been found. “Your status as trans puts you at this really interesting and dangerous intersection and you often come up missing,” said Hunter, who devoted a chapter in his book to the two Ms. Johnsons and the little-known worlds they traversed. View a Flickr album from the Transdisciplinary Speaker Series event. 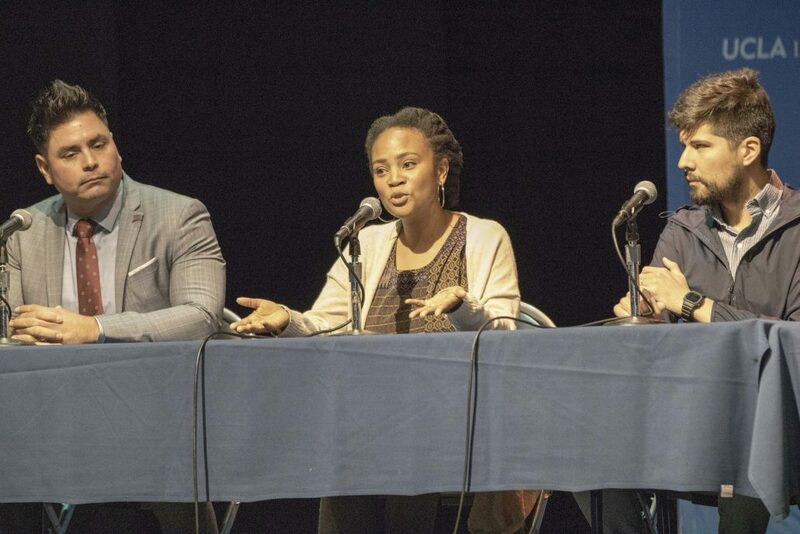 From left, winners of local elections in the 2018 midterms are Regina Wallace-Jones MPP '99, Nelson Esparza MPP '15, and Jacque Casillas MPP '14. 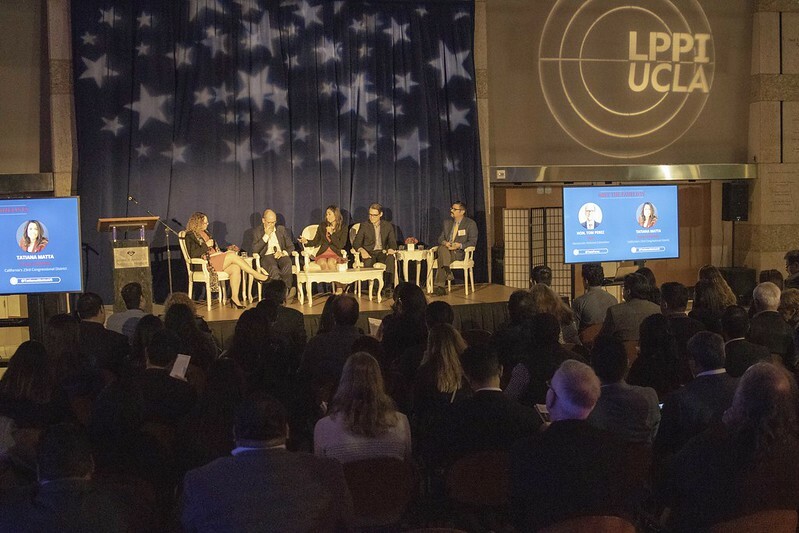 The November 2018 midterm elections provided an opportunity for several alumni to follow previous officeholders from the UCLA Luskin School of Public Affairs and put their educational experience and training to the test in local California races, with three Master of Public Policy graduates winning election battles. Nelson Esparza MPP ’15, an economics instructor at Fresno City College, won a grass-roots bid for Fresno’s city council. His latest win follows a successful campaign in 2016 for a spot on the Fresno County Board of Education in which he unseated a longtime incumbent. Esparza said he is excited about the opportunity to impact public policy in Fresno. He cited independent study with Luskin Public Policy Professor Mark A. Peterson and “instrumental” advice from Michael Dukakis, visiting professor of public policy and the 1988 Democratic presidential nominee, as elements contributing to his win. Regina Wallace-Jones MPP ’99 was victorious in her run in East Palo Alto’s city council race. “I cannot wait to get started with the policymaking. That’s where I am most enthusiastic,” said the chief of staff and head of product operations at eBay. She has also held posts at Yahoo and Facebook. She is the founding board president of StreetCode Academy, a patron of Black Girls Code, a board member for Women Who Code and a partner of the Lean In Foundation. 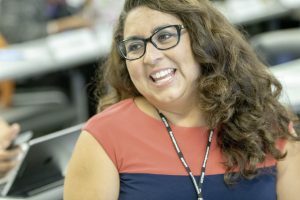 Jacque Casillas MPP ’14, a nonprofit manager and healthcare advocate with Planned Parenthood of the Pacific Southwest, also won a city council seat in her hometown of Corona. “I feel like the hard work paid off. We knocked on 10,000 doors in our election and … we fundraised like crazy,” said Casillas, noting that a majority of contributions came from individual donors. “It’s OK to be outspent but don’t be outworked. You’ve got to be able to do the work,” Casillas said. Early in her campaign, she posted a small number of signs compared to her competition. “Everyone thought it was all over, but, you know, yard signs don’t vote, people vote,” said Casillas, whose goal was to knock on every door twice. She also benefited from “the tools of the trade” like cost-benefit analysis and being able to speak in policy terms. “I acquired those skills at Luskin,” she said. For Casillas, who previously served as a field deputy director for a congressional campaign, serving at the local level is important. “That’s where decisions are made that impact your everyday life. I’m more of a practitioner. I wanted to make decisions, impact change and see it within five years in my community. That’s why I went back to school and got a master’s in public policy,” she said. Two other MPP graduates who threw their hats in the ring this election season garnered second-place finishes in their respective races. Shana Alex Charles MPP ’01, a professor in Cal State Fullerton’s Department of Public Health, ran for her local school board in Fullerton. Her research focuses on equal access to affordable healthcare in California, health insurance for low-income children and public health policies. At Luskin, she was a teaching assistant for Dukakis. Mark Anthony Paredes MPP ’02 ran for a seat on Garden Grove’s city council. He is a teacher, health care advocate and former planning commissioner. He also serves as an associate board member for the Boys and Girls Club of Garden Grove. As the days passed after the Nov. 6, 2018, elections and vote tallies across the United States were finalized, it became increasingly clear that voters had turned out in record numbers for a midterm election cycle. It also became evident that Latino voters played a pivotal role in many races. Tom Perez, the first Latino to serve as chair of the Democratic National Committee, told an audience of about 175 people that gathered Nov. 14 at the Japanese American National Museum for a panel discussion of the midterm elections that his party’s get-out-the-vote effort targeted many populations that have been historically hard to motivate in large numbers, including Latinos. 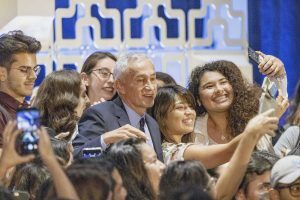 “The number of folks who turned out this year who were first-time voters was a remarkable phenomenon,” Perez said during the event co-hosted by UCLA Luskin-based Latino Policy & Politics Initiative (LPPI) and the Aspen Institute’s Latinos and Society Program. Perez was joined by three other experts on the U.S. Latino electorate during a wide-ranging discussion about the outcome of key 2018 races and what it means for the future of Congress and the 2020 presidential election. Although turnout was higher than in most midterm elections, the proportion of eligible Latino voters who cast ballots was not as high as it could be. Even so, Perez is focusing on carrying the increased voter engagement of 2018 into future elections. 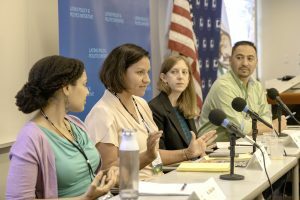 The panel discussion coincided with the release of a new report by LPPI that analyzed 2018 midterm results in Arizona, California, Florida, Georgia, New Mexico and Texas — states with large Latino populations. The report found a significant increase in Latino ballots cast, said panelist Matt Barreto, faculty co-director of LPPI and professor of political science and Chicana/o Studies at UCLA. 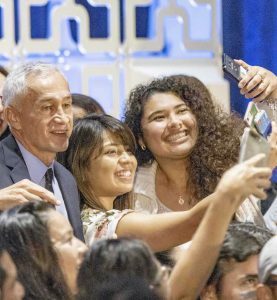 “We can observe that here in California about 40 percent of majority Latino precincts in Southern California had over a 70 percent increase. For non-Latino precincts, it was only 20 percent, so it was twice as high in the Latino community,” Barreto noted about the difference in voter turnout in 2018 as compared to 2014. 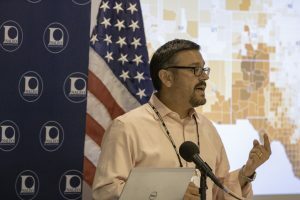 On the Republican side, Daniel Garza, president of the Libre Initiative, said campaign strategists for the GOP missed opportunities to connect with the Latino electorate on many issues by continuing to focus on the divisive rhetoric that has marked much of Donald Trump’s presidency. Even though the midterm results generally favored his party, Perez said it is unwise to view any demographic group as a monolithic entity that will always vote a particular way. Dean Gary Segura welcomed about 175 attendees to the event. The panelists also talked about voter suppression and how policymakers could make it easier for citizens to cast their ballots. A key point of discussion was the fact that national campaign strategies often focus on likely voters at the expense of people who vote less often, which includes many Latinos. Barreto noted that a Latino voter tracking poll asked respondents whether they had been contacted by a campaign. Initially, the rate of contact among Latinos was 40 percent. 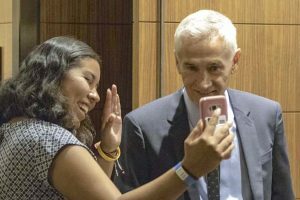 By Election Day, 53 percent of Latinos in the battleground congressional districts said that they had been contacted — a higher rate for Latinos than for whites in those districts. 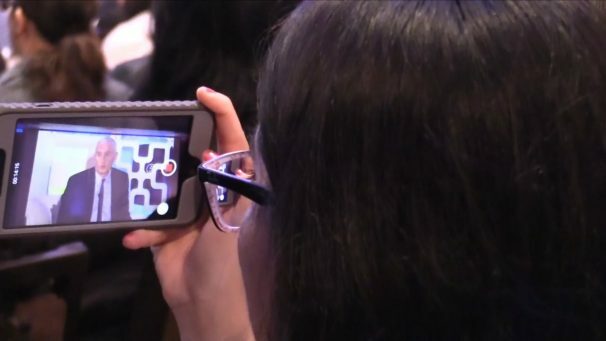 Even though 53 percent is historically high, “what’s frustrating is that there are still millions of people who didn’t receive any contact at all,” Barreto said. Also on the panel was Democrat Tatiana Matta, whose bid to unseat GOP incumbent Kevin McCarthy in U.S. House District 32 was unsuccessful. She spoke about some of the challenges she faced to reach potential supporters in her district in the Central Valley of California. To reach Latino voters in many areas, candidates must be comfortable speaking Spanish. Garza expressed a similar sentiment. 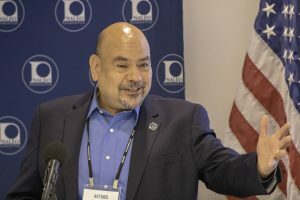 Barreto told the crowd, which included many people who had participated in Latino voter registration and outreach efforts, that the 2018 midterm elections are just one step in a long process. 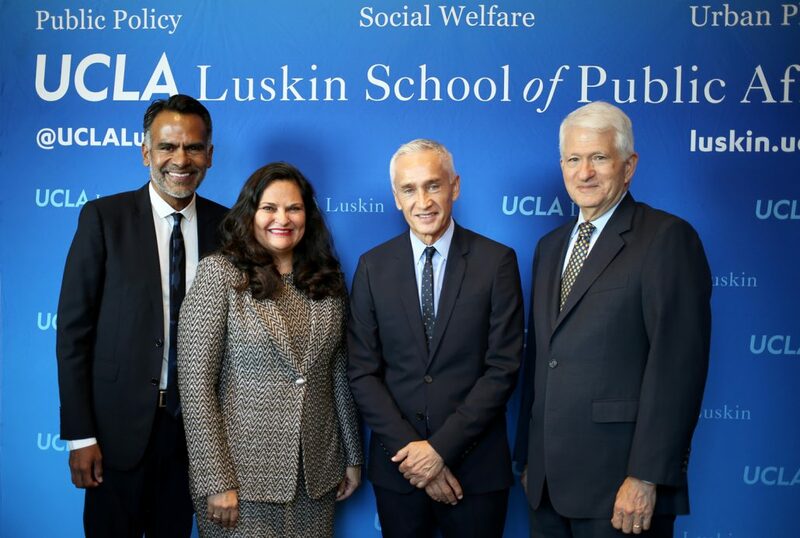 Learn more about the UCLA Latino Policy & Politics Initiative. More information about the Aspen Institute and its Latinos and Society Program is available on social media via @AspenLatinos. Leo Estrada, associate professor emeritus of urban planning at the UCLA Luskin School of Public Affairs, died Nov. 3, 2018, following a lengthy illness. He was 73. Estrada came to UCLA in 1977, joining the faculty of what was then UCLA’s Graduate School of Architecture and Urban Planning under the late Harvey Perloff, who was known as the dean of American urban planners. 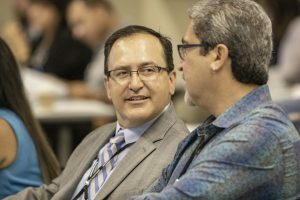 A native of El Paso, Texas, Estrada had held academic appointments previously at the University of North Texas, University of Texas at El Paso and the University of Michigan. He received his undergraduate degree from Baylor University and his master’s and doctoral degrees from Florida State University. 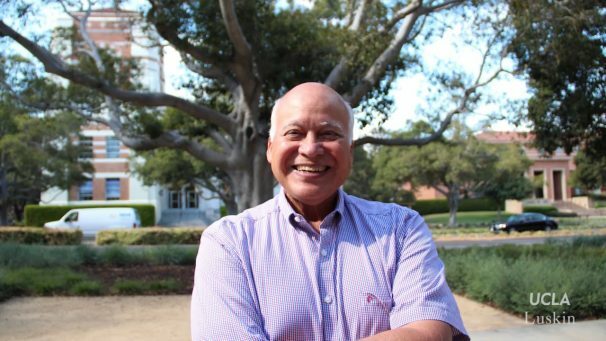 During his decades of service at UCLA, Estrada was recognized as an expert demographer and an urban planning researcher and teacher. He also was a fierce and effective advocate for Latino voting, civil rights and representation, said UCLA Luskin Dean Gary Segura, and someone who made huge contributions to UCLA. 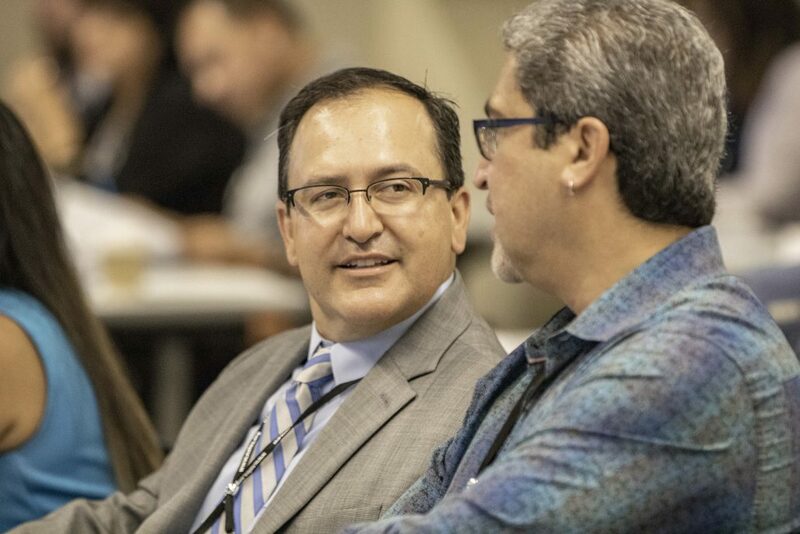 “Throughout his career, Leo Estrada distinguished himself as a mentor, adviser and advocate for the careers of countless young planners and scholars, many students and faculty of color, and so much more,” Segura said. Professor of urban planning Vinit Mukhija said he remembers Estrada for his compassion, generosity and commitment. Mukhija, now chair of urban planning, recalled that Estrada went out of his way to help him navigate through his first year as an assistant professor at UCLA. “That’s just one thing on a very personal level that I am grateful for,” Mukhija said. Estrada’s selflessness extended not only to faculty, but to staff, students and beyond, Mukhija said. 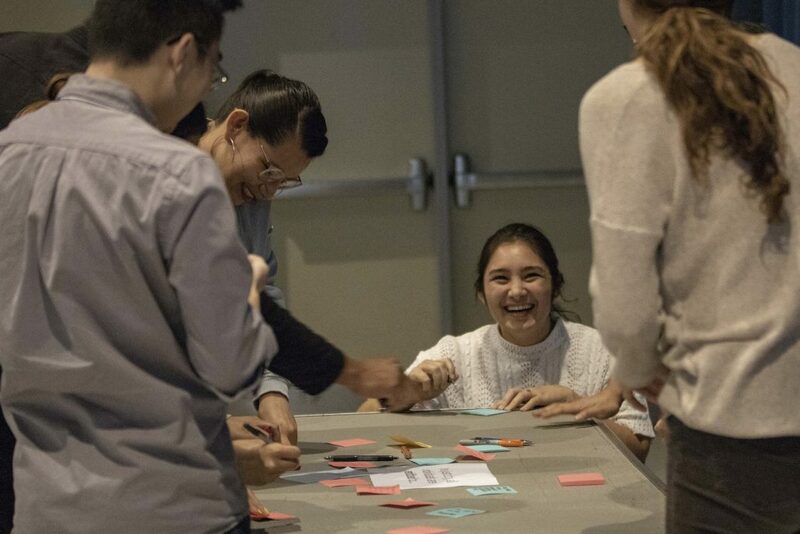 In addition to teaching courses about planning for minority communities and geographic information systems, for a number of years the tireless Estrada led intensive undergraduate urban planning travel study trips to Geneva, Switzerland during the summer term. 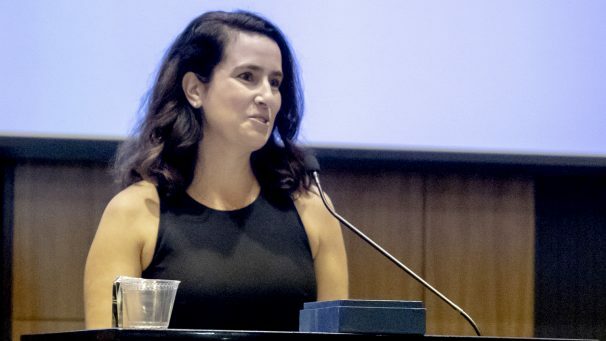 Following a role on UCLA Academic Senate’s undergraduate council, Estrada stepped up to serve as chair of the senate during the 2015–16 academic year. In his professional work, Estrada applied his skills in mapping to redistricting issues for cities across the country and provided expertise on ethnic and racial groups for the U.S. Census Bureau, where he held titles such as special assistant to the chief of the population division and as staff assistant to the deputy director. He also participated in numerous national studies, including an evaluation of the U.S. Standard of Live Birth for the U.S. National Center for Health Statistics. Estrada served on numerous advisory boards, including U.S. Census Bureau of Transportation Statistics, Latino Issues Forum, the Aspen Institute, National Association of Hispanic Elderly, the California Policy Research Institute, the Committee for the Study of the American Electorate, and the California Endowment. He also was a former member on the national board of AARP, New Economics for Women, the National Association of Childcare Resource and Referral Agencies, and Hispanics in Philanthropy. Other nonprofit advisory boards he served on included the Pew Charitable Trust’s Global Stewardship Initiative, the Center for the Study of the American Electorate, the Southern California Association of Governments, and Los Angeles World Airports. In 2013 he was named to the board of directors of SCAN Health Plan. 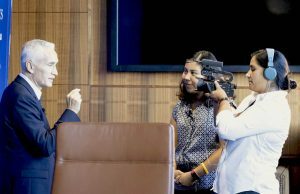 In June, a retirement celebration for Estrada was held to recognize his decades of scholarship, service and accomplishments at UCLA. “He has been an inspiring teacher and a mentor to an endless number of UCLA students and a role model to many Latino and minority students,” she said. 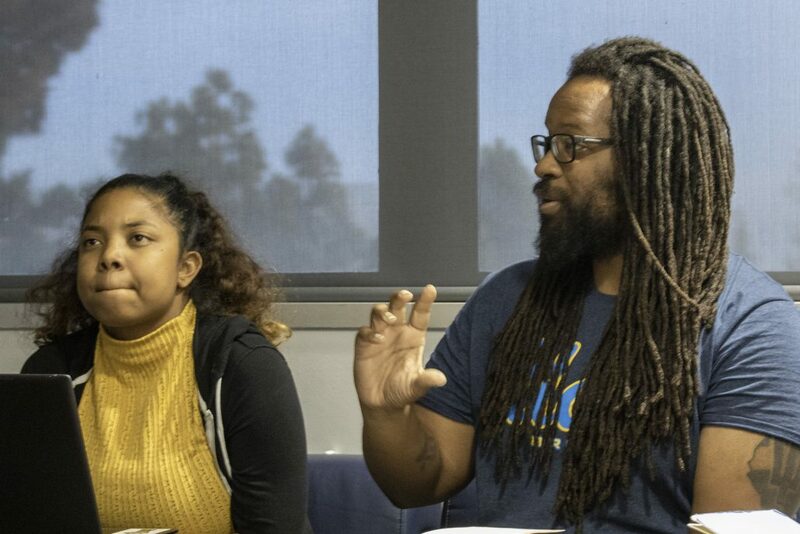 Loukaitou-Sideris, who is also associate provost for academic planning at UCLA, noted that Estrada was one of the first urban planning scholars to teach and institutionalize courses about diversity and planning. “As a brilliant demographer, he was also instrumental in confronting gerrymandering and giving ethnic communities equal representation in California and other states around the country,” she said. A private family ceremony will be held. UCLA Luskin is planning to host a campus memorial service for Estrada at a later date. 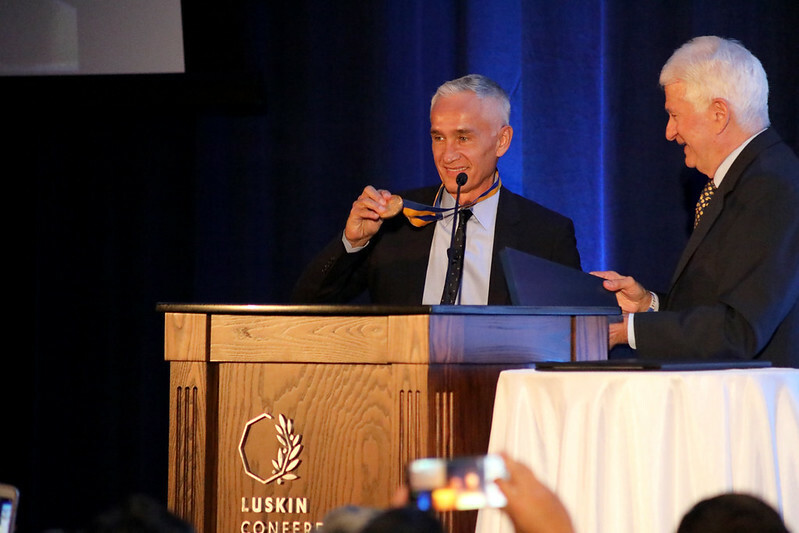 In recognition of his journalistic accomplishments and his leadership on social issues, Jorge Ramos, the longtime host of Univision Noticias’ evening news and its Sunday newsmagazine “Al Punto,” has been awarded the UCLA Medal. Presenting the university’s highest honor to Ramos on Oct. 9 was UCLA Chancellor Gene Block. Ramos studied journalism at UCLA Extension when he first came to the United States from Mexico. 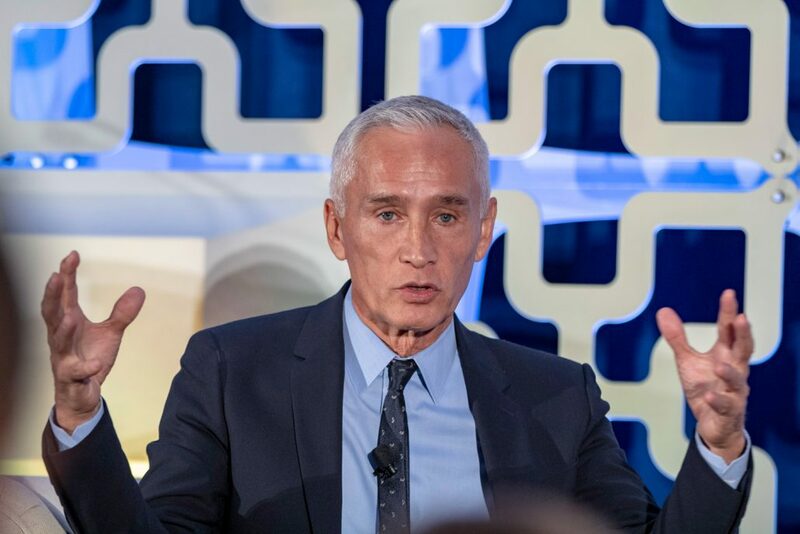 A pivotal figure for many American Latinos, Ramos has more than 30 years of experience producing informative reporting with an underlying dedication to advancing the interests of marginalized communities. UCLA played an essential role in his career, Ramos told the crowd. Those who attended the event shared Segura’s excitement about the opportunity to spend time in the presence of Ramos. 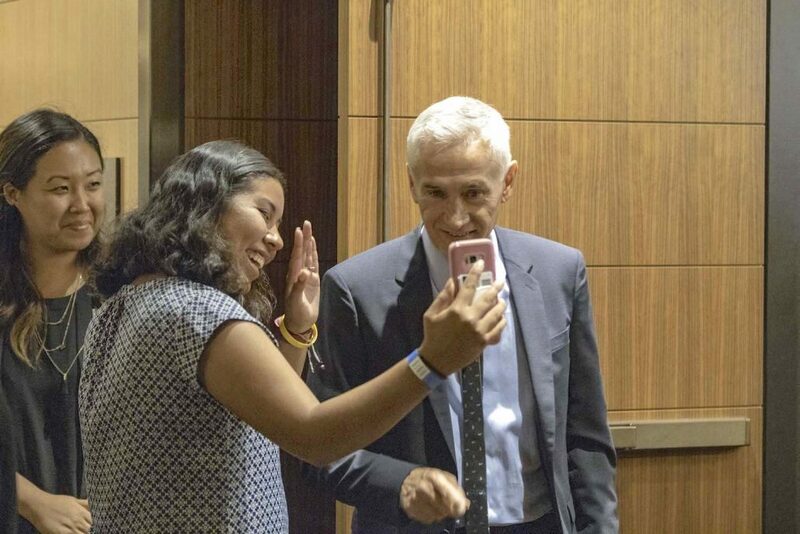 After the medal presentation, Ramos made brief remarks, then engaged in a discussion of issues of national interest with Eric Avila, UCLA professor of Chicana and Chicano studies, history and urban planning; and Laura Gómez, UCLA professor of law. Avila asked whether the rules have changed for journalists in the current political climate. 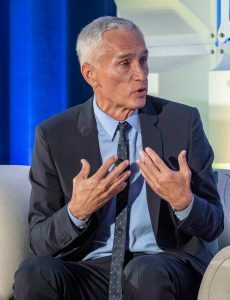 Ramos, who quit his reporting job in Mexico 30 years ago to escape censorship and pursue his livelihood in a country with greater press freedom, replied that journalists have a societal obligation to do more than simply relay facts. He recounted his well-remembered 2015 confrontation with then-presidential candidate Donald Trump. During a news conference at a campaign stop in Iowa, Trump refused to let Ramos ask a question about immigration policy. He stood his ground and refused to be silent, so Trump had security personnel usher Ramos out of the room. Ramos’ remarks included an admonition directed toward the many UCLA students who attended the event, telling them to speak out — to disobey. Stan Paul of the UCLA Luskin communications staff also contributed to this story. 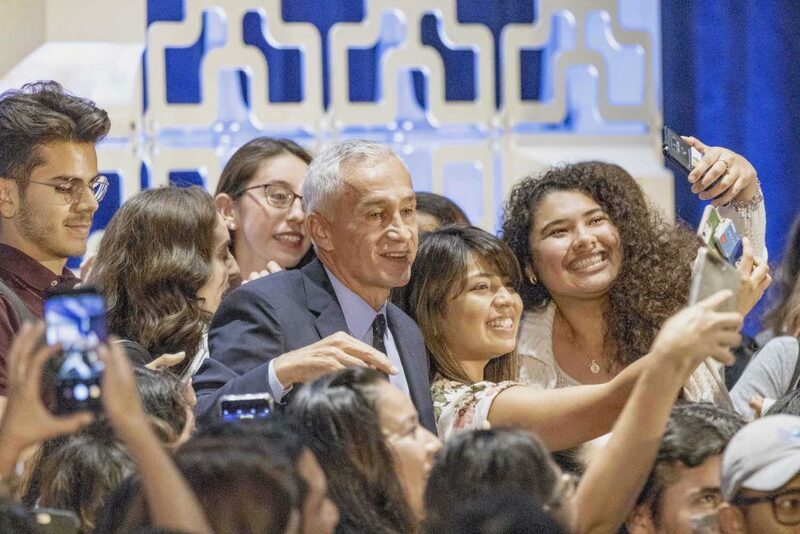 As television journalist Jorge Ramos prepared to leave the stage after his visit to UCLA on Oct. 9, dozens of UCLA students swarmed toward him. They wanted to get closer to Ramos, an icon for many Latinos in the United States. Graciously, he motioned them forward, and soon he was surrounded on all sides by young admirers. Ramos then spent several minutes chatting with them and posing for selfies. Kimberly Fabian is a sophomore pre-major in the undergraduate major in public affairs that launched this fall at the UCLA Luskin School of Public Affairs. 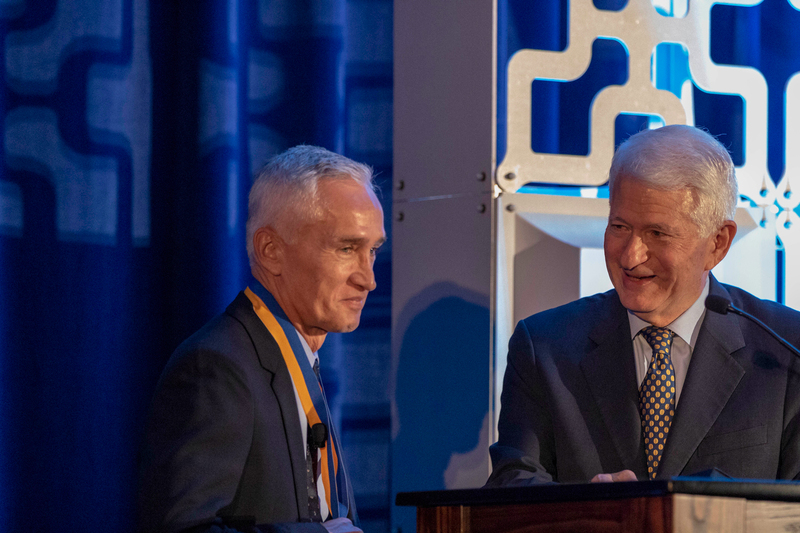 She was among those grateful for the opportunity to engage directly with Ramos at the event, during which he was presented the UCLA Medal by Chancellor Gene Block. Many other attendees shared Fabian’s sense of familiarity and excitement about Ramos, including Ricardo Aguilera, also a sophomore pre-major in public affairs. He said making time to attend the event was an easy decision. 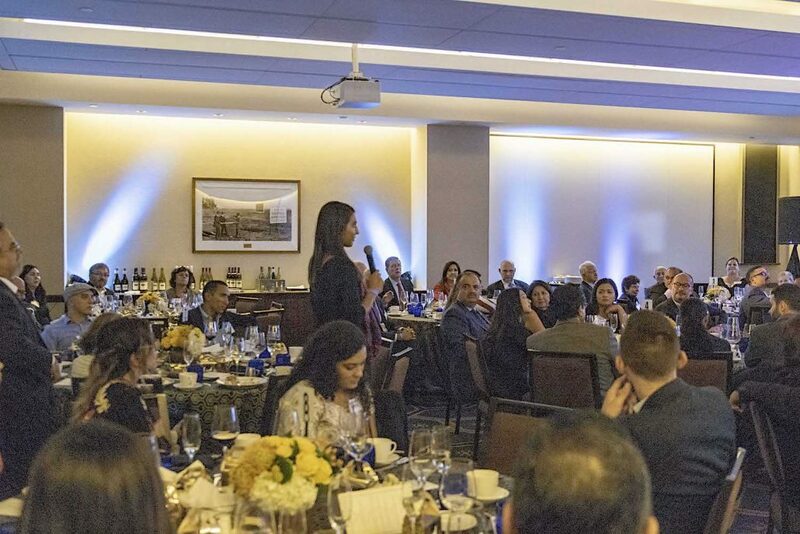 UCLA Luskin graduate student Gabriela Solis had the opportunity to speak one-on-one with Ramos before the medal ceremony. Solis found inspiration in Ramos’ words, particularly his call to action for students to speak up when they witness injustice or intolerance. Solis said she is sometimes hesitant to speak out, worrying about the potential repercussions of being more vocal or tackling issues outside of her comfort zone. “Hearing him talk gave me a little bit of a push to think that maybe I could explore doing more organizing, or working closer in the community or potentially running for office,” Solis said. Inspiration was a familiar theme among attendees, as was gratitude for Ramos’ kind manner and willingness to engage with them on a very personal level. In a hallway afterward, Fabian approached Ramos with her cellphone in hand. “I asked him, ‘Can you do me a favor and give a shout-out to my dad’s family and to my mom’s family?’ And he was like, sure. ‘I am here with Kimberly and don’t forget to vote,’ ” Fabian said about the message from Ramos she recorded. “On top of him being this public figure, suddenly it became something special — here he was saying my name. It was surreal,” she recalled with a wide smile. 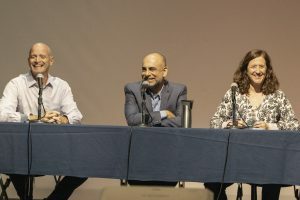 At one point, Dulce Vasquez, a first-year master’s degree student in public policy, asked Ramos about the political climate in their shared home state of Florida. Vasquez wanted to know whether Ramos thought the Florida vote in November’s midterm elections might be impacted by the U.S. response in 2017 to devastation in Puerto Rico resulting from Hurricane Maria. Many refugees from Puerto Rico have since relocated to Florida. Although Ramos said he doubts that the immediate election impact will be significant, he said that he expects the changing demographics of Florida to eventually have an impact on election results in the traditionally conservative state, perhaps as soon as 2020. 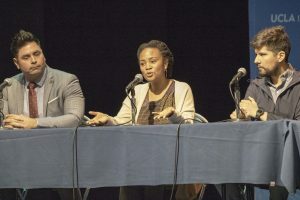 The event was presented as part of the Meyer and Renee Luskin Lecture series at UCLA, and Fabian said the entire evening was memorable for her. 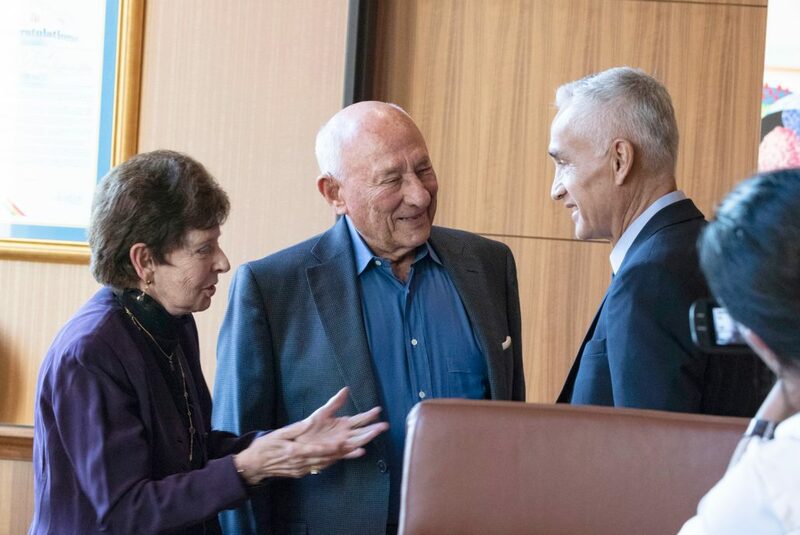 Before the medal ceremony, Solis had the opportunity to meet Chancellor Block and the Luskins, and she also engaged directly in conversation with Ramos. Ramos said this is the sort of extra effort that is needed to combat an ongoing problem with Latino voter turnout, which is often far below that of other demographic groups, and was a factor in the 2016 presidential election. Ramos’ willingness to answer their questions forthrightly impressed many of the students. They also appreciated that Ramos made a point to relate to them as young people. More than once, he noted that he was once in a very similar place in his own life. Mary Braswell and Stan Paul of the UCLA Luskin communications staff also contributed to this story. 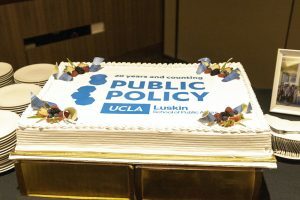 Since graduating its first class of 17 students in 1998, the Master of Public Policy program at the UCLA Luskin School of Public Affairs has equipped nearly 900 more for careers in the public, private and nonprofit sectors. 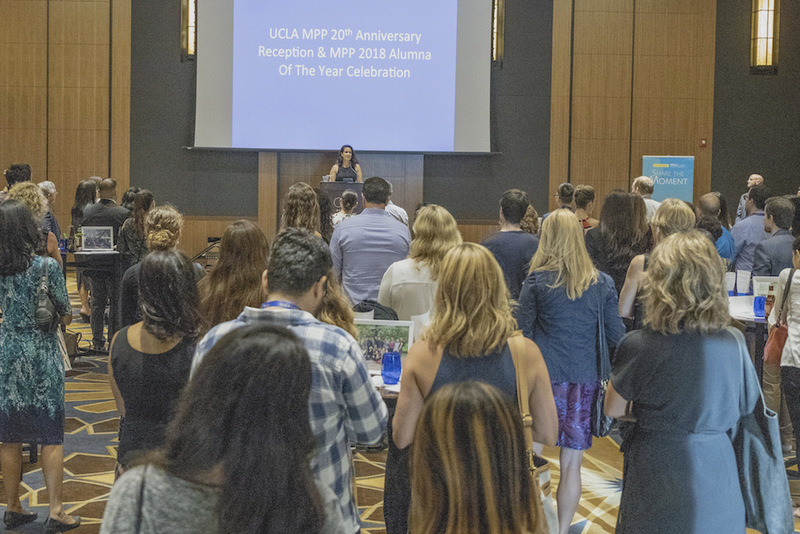 The highly competitive MPP program that now admits about 70 students each year celebrated its second decade with alumni, faculty, staff, friends and family Sept. 22, 2018, at the UCLA Luskin Conference Center. As part of the MPP program’s milestone anniversary, Jaime Nack MPP ’02 was named Alumna of the Year. An entrepreneur and environmental consultant, Nack was a Luskin School Public Policy minor before pursuing her graduate degree. She credits UCLA with helping her meld her interests and foster her career. Also during the celebration, five current students were given the UCLA Luskin MPP Alumni Fellowship Awards for outstanding leadership and service. The students, nominated by their classmates, were: Marissa Ayala, Robert Gamboa, Gabriela Solis, Caio Velasco and Erica Webster. Alumna Emily Williams, center, presents student awards to, from left, Marissa Ayala, Caio Velasco, Robert Gamboa and Gabriela Solis. Not pictured is Erica Webster. Photo by Tessa McFarland. On hand to celebrate two decades of growth and success was Public Policy chair JR DeShazo, who recalled his more than 20 years on the School’s faculty. Despite the growth of the Public Policy community, “we need all the MPPs we can get in this day and age,” said DeShazo, who is also director of the UCLA Luskin Center for Innovation. Former Public Policy chairs including Mark Peterson and Michael Stoll attended the anniversary celebration. Nurit Katz MPP ’08, who currently serves as UCLA’s chief sustainability officer and executive officer of facilities management, presented the Alumna of the Year Award to Nack, crediting her leadership in sustainability and climate issues nationally and internationally. Nack’s accomplishments as an entrepreneur include founding Three Squares Inc., an environmental consulting firm, and serving as director of sustainability and greening operations for the 2008 and 2012 Democratic National Conventions, marking the first time the DNC took measures to reduce the events’ environmental impact on host cities. She also has served as a member of the National Women’s Business Council — an Obama Administration appointment — and is on UCLA’s Alumni Association Board of Directors. In 2011, Nack was named a Young Global Leader by the World Economic Forum. “So the last 20 years have take me through the Arctic to the White House,” said Nack, who returned recently from an Arctic expedition sponsored by FutureTalks, and more recently served as head of sustainability for the Global Climate Action Summit in San Francisco. View a Flickr album from the event. 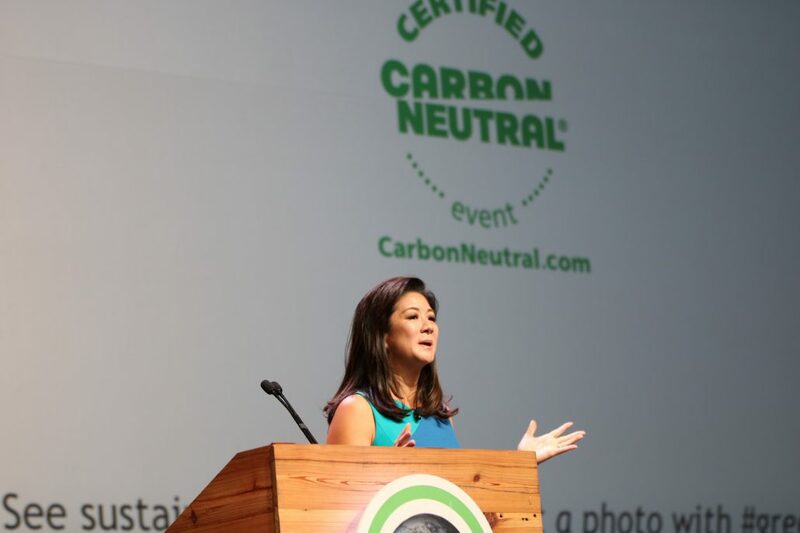 More than 2,200 people eager to learn how to make a difference in the future of the planet came together at the Los Angeles Convention Center for the largest-ever Climate Reality Leadership Corps training led by former U.S. Vice President Al Gore. 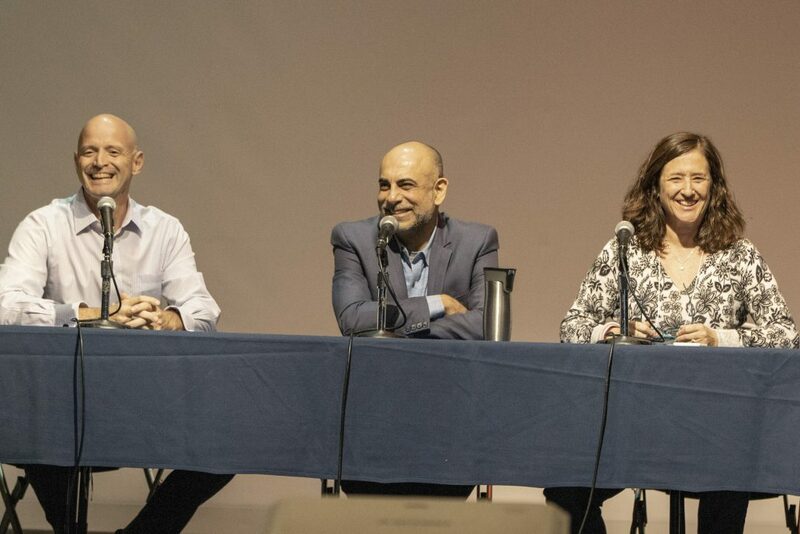 Participants from California, the United States and more than 50 countries took part in the three-day training session that began Aug. 28, 2018, and included working with the best-selling author of An Inconvenient Truth — and subject of the Oscar-winning documentary. They heard from world-renowned scientists, communicators and other experts about how to work together to find solutions to the global climate crisis by influencing public opinion and policy and encouraging action in their own communities. “In the United States we have a tremendous amount of climate denial. 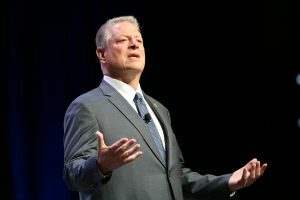 We have a president who is a bitter opponent right now of addressing climate change,” said Ken Berlin, president and CEO of the Washington, D.C.-based Climate Reality Project, in his opening remarks. 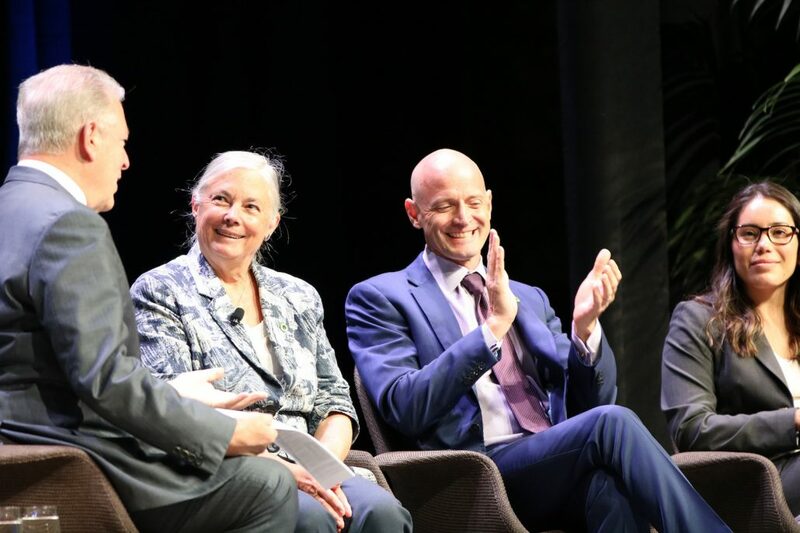 The purpose of the ongoing series of trainings, held worldwide starting in 2016, is to develop a critical mass of activists to ensure there is enough support for addressing the climate crisis, Berlin said before introducing Gore, who appeared on stage to a standing ovation. Joining Gore on the first panel of the day, “California’s Roadmap for Climate Change,” was JR DeShazo, director of the UCLA Luskin Center for Innovation, and other experts including Fran Pavley, former member of the California State Senate, and Veronica Garibay, co-founder and co-director of the Leadership Counsel for Justice and Accountability. “Here we are again at a time when our national government is … disappointing so many of us. Once again California is stepping forward,” Gore said in his opening remarks. “I think California understands how important historically it was to deal with its air quality challenges,” said DeShazo, Public Policy chair at the UCLA Luskin School of Public Affairs. 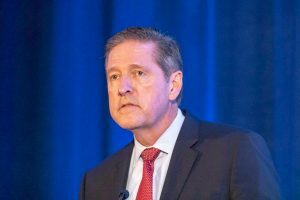 “And so, in the ’60s and ’70s the state developed this robust set of state agencies to tackle that problem in the energy sector and the transportation sector,” he said. 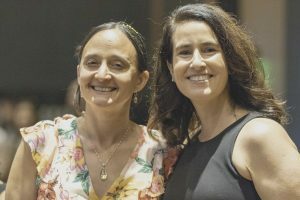 DeShazo, who also holds appointments with UCLA’s Institute of the Environment and Sustainability, UCLA Luskin Urban Planning and UCLA’s civil and environmental engineering departments, recalled that during the nationwide recession California voters rejected a ballot initiative to halt the state’s climate policies. 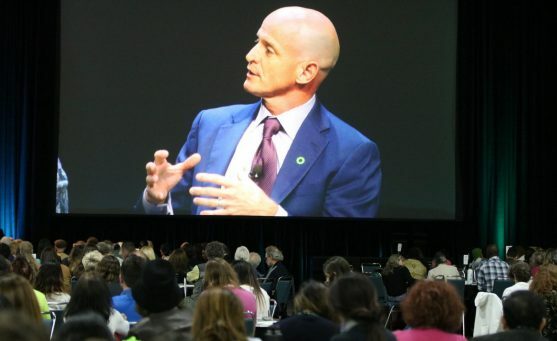 More recently, DeShazo said, a “second generation” of climate policies in California has focused on environmental justice. “There’s a clean vehicles program, and there’s one for low-income consumers, there’s a weatherization program and there’s one for disadvantaged communities,” he said. A significant portion of the $2 billion a year generated by cap and trade is reinvested to benefit disadvantaged communities, he added. 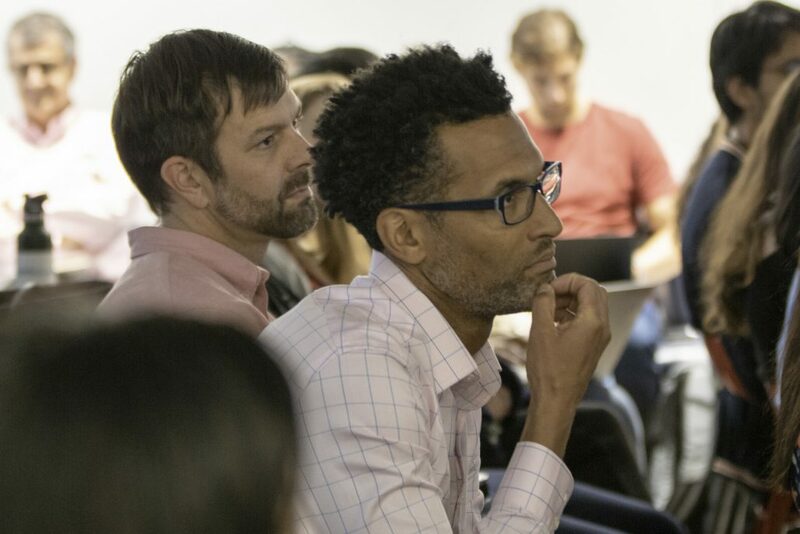 This year, the UCLA Luskin Center for Innovation is part of two partnership grants that will benefit disadvantaged communities in particular. The grants ─ awarded by California’s Strategic Growth Council ─ total more than $4 million. 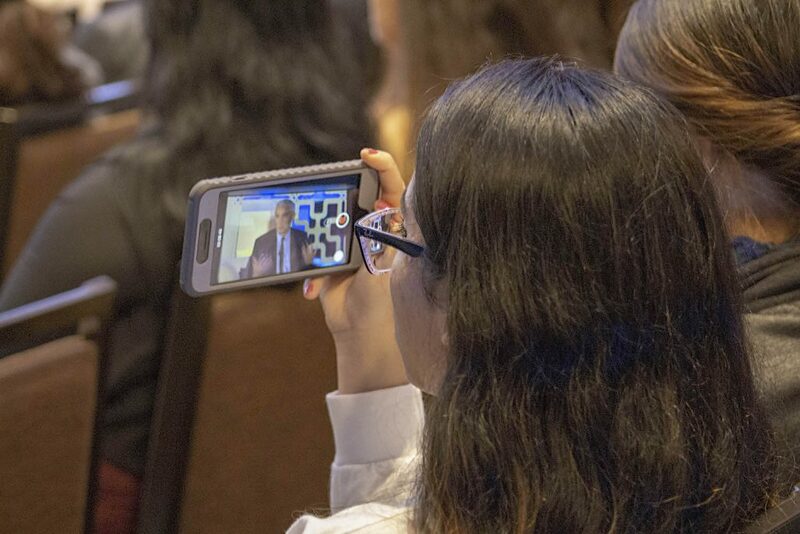 View more photos from the Climate Reality Leadership Corps training on Flickr. 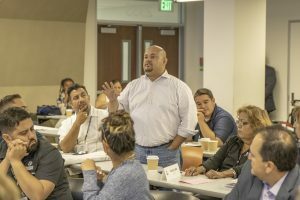 When elected leaders from across the country gathered at the UCLA Luskin School of Public Affairs for three days of workshops on housing, transit, criminal justice, education, public safety and immigration, a recurring theme ran through each conversation. “Every issue, every single issue, is a Latino issue,” said Sonja Diaz, founding director of the UCLA Latino Policy and Politics Initiative and a 2010 graduate of UCLA Luskin who got a master’s degree in public policy. 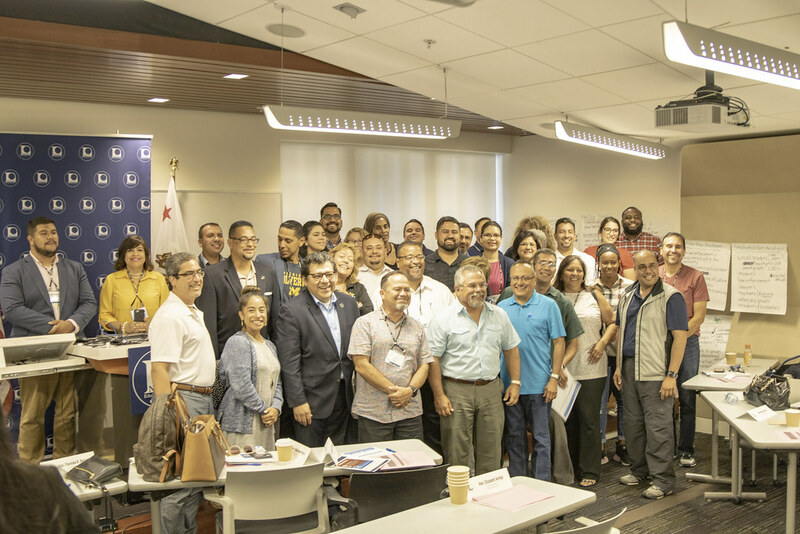 Diaz was speaking to about 60 state legislators, county and municipal officials, school board members and higher education trustees at the first-ever National Education Leadership and Public Policy Academy, held Aug. 3–5. 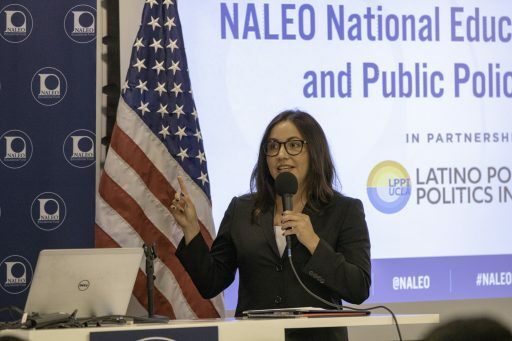 Organized by LPPI and the National Association of Latino Elected and Appointed Officials Educational Fund, the event was a “master’s course of our policy work … in the hopes that you will take this information and apply it in your communities,” Diaz told participants, who traveled from as far away as Florida, Connecticut and Hawaii. Discussions led by expert panelists, she said, would be informed by two things: data and facts. Citing the 2016 elections, Vargas continued, “Half of the Latino electorate was not part of the national conversation with the campaigns, and it happens consistently.” He urged officeholders to take up some of this responsibility in their districts. The weekend series of presentations and workshops was supported by the Bill and Melinda Gates Foundation and by State Farm. It included opportunities to network with peers and while participating in group sessions, attendees developed tools and information to craft policy reforms on issues such as public safety. Marisa Perez, a member of the board of trustees at Cerritos College, said many Latino students get their start in higher education at a community college. “Whatever I can take back to my college to better support our students, that’s what I’m looking forward to learning about,” Perez said as the conference got underway. 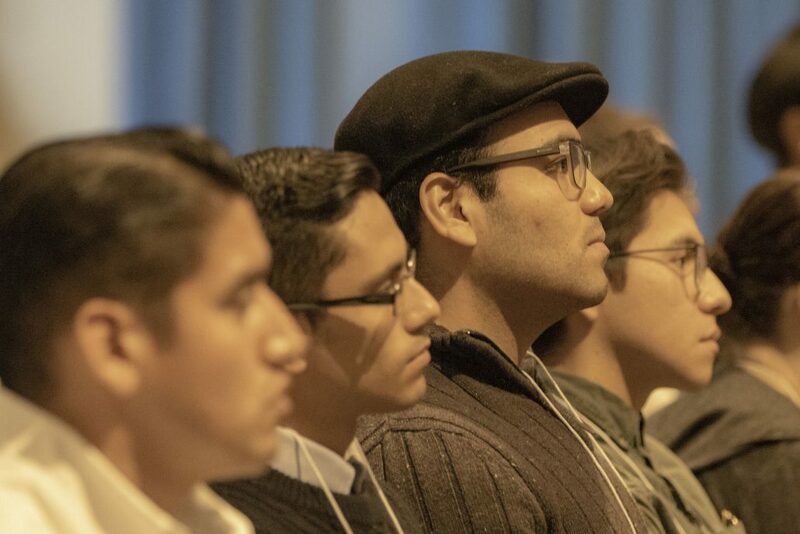 Citing an achievement gap in his home state, Jon Koznick, a member of the Minnesota House of Representatives, said he wanted more hard data on issues related to Latino youth, especially boys. “I’m excited to learn a little bit more about how we can have some stronger impact” in economic development and employment, he said. Speakers and panelists at the academy included researchers from UCLA and other universities, as well as from policy institutes, foundations and associations. 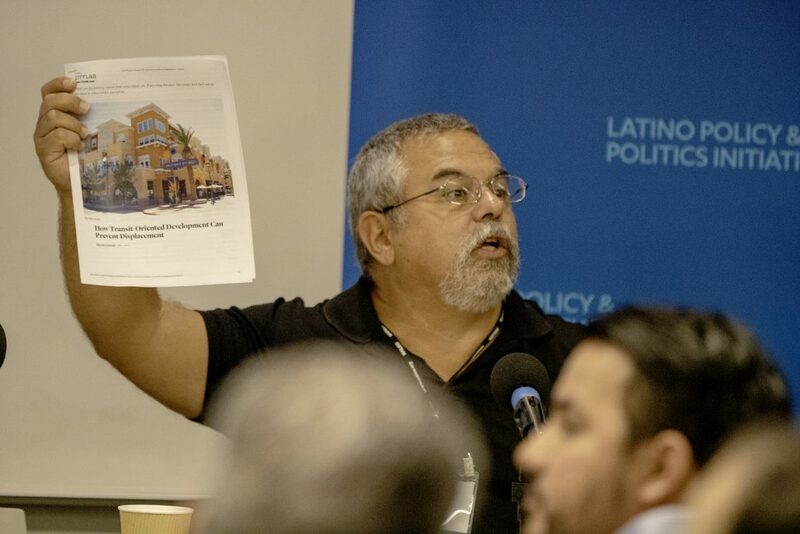 Gary Segura, dean of UCLA Luskin, presented a case study on transit-oriented development in Oakland’s Fruitvale Village, that city’s largest Latino community. With co-panelist Chris Iglesias, chief executive officer of the nonprofit Unity Council, he discussed how the city used transit as a means for economic development and how that affected residents’ socioeconomic well-being. 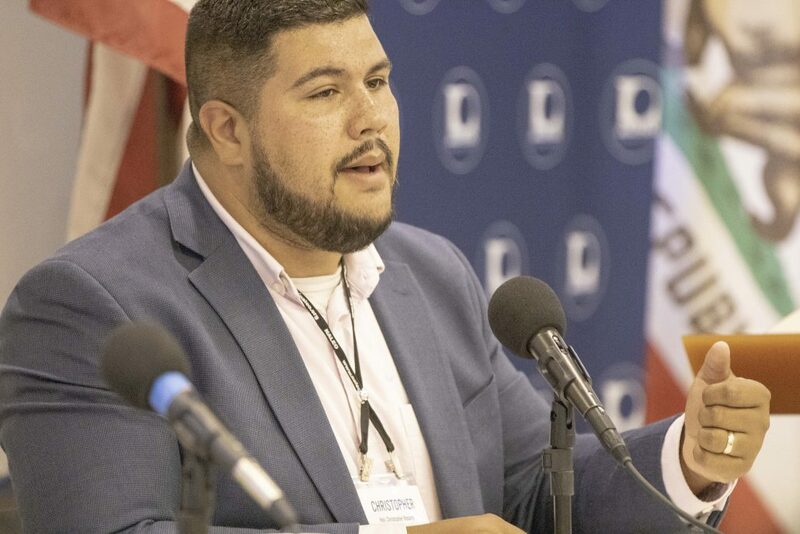 Segura, a faculty co-director of Latino Policy and Politics Initiative, pointed to the initiative’s empirical study comparing Fruitvale residents to those living in similar communities over a 15-year period in the Bay Area and throughout California. The study found that, although the Latino population in Fruitvale changed by only 1 percent, homeownership increased by 8 percent, the bachelor’s degree completion rate climbed by 13 percent, and household income increased by 47 percent. 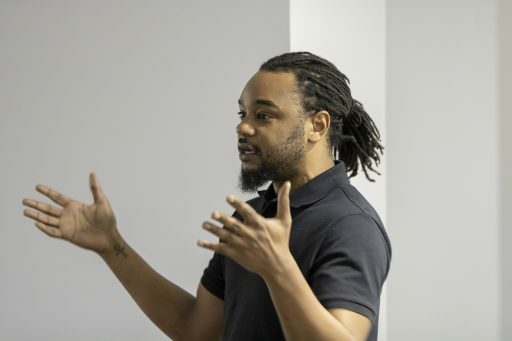 “So you can change a place without changing a people if you provide a set of economic structures and opportunities and services,” Segura said. Matt Barreto, UCLA professor of political science and Chicana and Chicano studies, presented demographic data to explain the growth in the country’s Latino population. “Why is the Latino population growing so quickly? Because we have an extremely young population,” said Barreto, pointing out that the largest population distribution is under age 5; for whites, the largest group is adults in their 50s. “The population is growing at a rate faster now than most demographers 10 years ago were anticipating or estimating. And it’s almost entirely driven by U.S. births,” said Barreto, also a faculty co-director of LPPI. Amada Armenta, who joined the UCLA Luskin Urban Planning faculty in July, spoke about the intersections between criminal justice and immigration enforcement systems. Even in so-called sanctuary cities, contact with the police can have consequences for immigrants because of Immigration and Customs Enforcement’s practice of using criminal justice databases to find immigrants and staking out jails and courthouses to take people into custody. In a keynote lunchtime address, Vargas of the National Association of Latino Elected and Appointed Officials, focused on the U.S. Census. Legal battles over a proposed citizenship question are being waged in court, he said, but the public also must be heard. The U.S. Census Bureau is seeking public input on the 2020 headcount. View more photos from the conference in an album on Flickr.